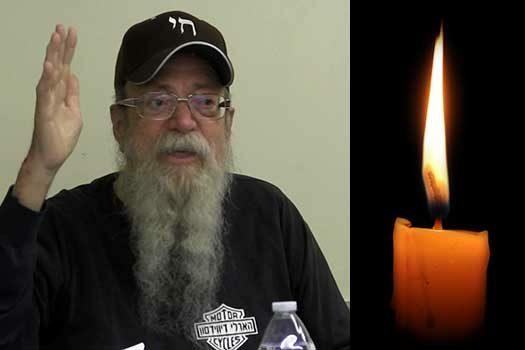 With great sadness we inform you of the passing of Rabbi Shlomo Schwartz, OBM, AKA “Schwartzie,” a well-known and beloved rabbi, entertainer, inspirational speaker and founder of the Los Angeles-based Chai Center. He was 71 years old. Schwartzie, a product of a Chabad yeshiva and a devoted follower of the Lubavitcher Rebbe’s teachings, ventured where no rabbi has gone before. A onetime bongo-thumping Greenwich Village beatnik, he frequents rock concerts — flowing beard, yarmulke, Mickey Mouse suspenders and all — and will on occasion lace a wedding ceremony with lyrics from the Grateful Dead’s repertoire. Born in Atlantic City, NJ, he was the son of a “Conservadox” cantor, who had fled Vienna in 1939. Schwartz found his natural calling at UCLA’s Chabad House, the first of its kind at any American university. Rabbi Shlomo ("Schwartzie") Schwartz (of blessed memory) teaches Kabbalah at Happy Minyan commemoration of Rabbi Shlomo Carlebach, November 20, 2016. "Ubo tidbakun"- glue yourself to the Moses of your generation. Rabbi Schwartz was nifter 8 Feb '17, buried in Safed, Israel. Rabbi Shlomo Schwartz taught this class on Relationship Kabbalah on his 71st Hebrew birthday (6 Dec '16) at the Community Room of the Farmers Market, Los Angeles. He offers a birthday blessing to those viewing towards the end. May his neshoma reach the highest for all of the Jewish souls he fostered.